Let it be publicly known to all persons that Pullman School District No. 267, Whitman County, Washington, has completed preparation of the 2018-2019 budget, the four-year budget plan, and four-year enrollment projection. The budget is on file in the District Fiscal Services Office located at Pioneer Center, 240 SE Dexter, Pullman, Washington. A copy of the budget will be furnished to any person who is interested. Also, let it be publicly known to all persons that the Board of Directors of Pullman School District No. 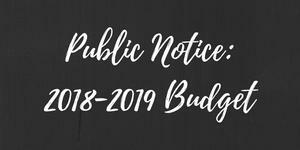 267, Whitman County, Washington, will meet in a public meeting on August 8, 2018 at 6:30 p.m. at Pullman High School Community Room, Greyhound Way, Pullman, Washington, for the purpose of fixing and adopting the 2018-2019 budget, the four-year budget plan, and the four-year enrollment projection of the District. 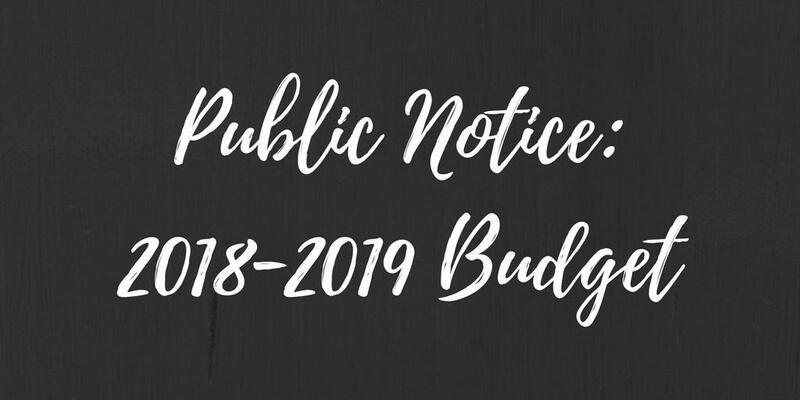 Any interested persons may appear at this meeting and be heard for or against any part of the proposed 2018-2019 budget, the four-year budget plan, or any proposed changes to uses of enrichment funding under RCW 28A.505.240.